Read this case study to find out how UK's largest auto seller was able to get 5000 automobile images clipped / edited in a month, without sacrificing on the image quality by outsourcing his image editing requirements to us. 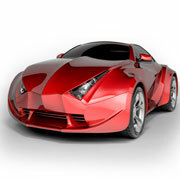 Our client is one of the most prominent and famous automobile sellers in UK. He has been in the business for more than 30 years, and has sold millions of automobiles, both new and used. The client has made his name as a trusted brand In the UK, enabling customers to sell their cars quickly and profitably, so much so that his business model has now been replicated successfully in multiple countries, including USA, Australia and Canada. Have you faced similar problems as our customer, but have never been able to outsource successfully? Do you also have a requirement for automobile image editing, or any other photo editing services? At Outsource2india, we assure all our customers of highly personalized, efficient and fast image clipping services. Our professional image clipping experts can work wonders with your images, delivering polished images for websites, blogs etc. without any delay. Contact us now for more success stories, or to get started by outsourcing your car image clipping, or any other photo editing requirement to Outsource2india, a truly global outsourcing company.